Great service, great people. My family has been involved since my daughter was 5. She takes BJJ and Karate. Best experience and investment ever. I love this place, my 11 year old has been going for 3 years now and absolutely loves it. He's exposed to positive role models, from teenagers to adults, and I can hear all the positive affirmations reflective in his everyday conversations. School hasn't been easy for us but Next Evolution and its family has always been in our corner, supporting and backing me up always. It's brought him confidence, maturity, respect and discipline. I'll continue to grow here because it's more than just a class, it's an experience, it's a family, it's love, I'm not sure I can just get that anywhere. Next evolution martial arts is the perfect place to keep our kids off the streets and out of trouble. In addition to multiple martial art classes, they conveniently offer after school and summer camp. My daughter has been taking their self-defense class for the past 6 months and she loves it!!!! Next evolution martial arts is a great place ,great teaching, great professor. Absolutely the best jiu-jitsu academy I’ve trained at in NYC, and a HUGE assets to all of Harlem. I’d just like to say, for anyone who is searching for a way of self-defense, competitive sport, or just a great workout; You’ve found your place! When my daughter was 5 years old, she began Karate classes here and learned so much in such a short span of time. After we took a break from Karate, we came back when she turned 12 years old for her to take up Brazilian Ju-Jitsu. She was having some bullying issues at school, and needed a controlled way to protect herself. Sensei Mullero took her under his wing, just as he does with all, and helped her develop into a disciplined, confident, smart, and strong young lady. When she began feeling more comfortable with the sport, she competed for the first time. Sensei and his assistant Alex, were there every step of the way with her; Whether it be coaching, supporting, or comforting her after many tears of joy, we would never forget that they were there. Next Evolution Martial Arts is like a family. With ups, downs, middles, and all the rest... They will always be together; Laughing, learning, progressing, and having a great time. 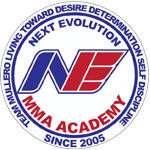 My family - kids and parents both - has been training at Next Evolution for almost five years. Professor Mullero is not only extremely knowledgeable in martial arts, he is also a person of the highest integrity. He instills in all his students the importance of dedication, hard work and respect. His genuine caring for his students’ development -both on and off the mats - is felt throughout the gym and contributes to the fantastic family atmosphere. We highly recommend Next Evolution. Next Evolution is like a second home for our boys. Training under Professor Mullero, Alex, and their team has by far been an exceptional experience. We have trained at other dojo’s but this is where we are meant to be. Belts and promotions are not just handed out, they are earned. Self-discipline, trust, team building, dedication and self-confidence are implemented into every student, no matter their background or skill level. 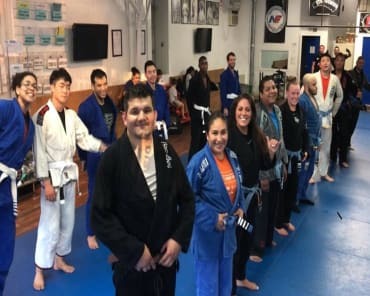 In addition, the professor has made a great environment; parents are also a big part of the process, from class updates, extra weekend training classes to prepare for tournaments, even classes where parents participate with their children. The confidence my boys have gained from learning karate and jiu-jitsu, along with the competitions has been fantastic. Next Evolution is truly an incredible place to learn and grow. My daughter has been a part of the Afterschool/Karate Program for FOUR years since Pre-K and she looks forward to going every day. They pick her up from school (which is brilliant! I work until 5pm) review homework with her and teach Karate! The Staff is AMAZING, they not only teach discipline, self-confidence and teamwork, but they run a facility that makes everyone feel like Family. This place has great energy and awesome holiday parties for the kiddies! I would definitely recommend N.E.M.M.A.A. I was looking for a martial arts school that teaches kids confidence, discipline, respect, self-defense, and determination for my daughter. Next Evolution Martial Arts instilled these values in my daughter. My daughter has been taking karate for more than a year now and I can see a difference. We are beyond thrilled with the progress our children have made over the past few years at Next Evolution. Not only did they gain the love of martial arts, but also the strength to work through many of their challenges with discipline and confidence. My daughter is no longer the quiet girl who first enrolled in the program and can now perform on stage in front of a large audience and my son is more focused in school earning top level grades. Thank you Next Evolution! What can I say about Next Evolution? You feel like part of a family and not a martial arts school. That being said, they take their profession seriously and can teach anyone. I have my son (age 5) and one of my daughters (age 11) in classes and they look forward to going to class. The tenets of strength (mind and body), discipline (mind and body), "to be a good person" are amazing to see instilled in the students and practiced by the staff. Their students are taught to be "good people", in all things, who can defend themselves when they have to. Sensei Mullero is a very dedicated instructor. He does everything can to make sure his students learn the most of each lesson. Awesome gym to train at with great instructors. 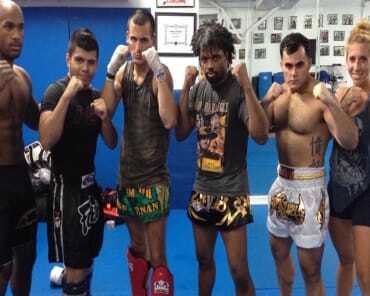 They offer Muay Thai, Yoga, MMA, Wrestling and BJJ classes. If you want to train in a positive environment, NE is second to none. The atmosphere is full of positive energy and camaraderie, even while people are battling and competing. Great place to train with people that are respectful and want to make changes in themselves. The program and the instructors are truly amazing. They don't just teach martial arts, they teach team building, responsibility and community. Run don't walk to 3rd avenue. What can I say, my kids LOVE it! Check them out.